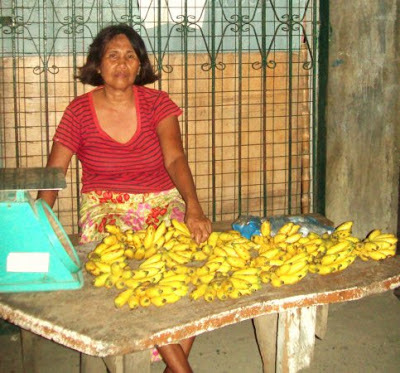 Merlinda is a widow with five children who has a fruit stand and, with the loan from Kiva lenders, will be able to meet her goal of expanding her product offering and growing her business to help improve her family’s living conditions. We may find out how Merlinda’s business fares — one cool thing that Kiva does is to provide updates on some of their borrowers. When you loan money through Kiva, you get a Portfolio that shows your borrowers, repayments, etc., and you might get an e-mail from time to time with an update that shows on your Portfolio page under the heading “Recent Updates for My Loans”. The most recent ones we received were for Paula and Rasif, two of the small business entrepreneurs to whom we loaned funds. We especially liked the one for Rasif. We’re excited about continuing our efforts in the fight against global poverty in 2013. Want to learn more about Kiva? Check them out at http://www.kiva.org and see our other Kiva blog posts.